Aaron and Paige- wedding sneak peek! It's finally here! i can't speak highly enough of this beautiful couple. If you don't remember, go check out their engagement photos.. click here. Aaron and Paige had the most beautiful day. it rained but always left us enough time to go get outdoor shots! Their family was so lovely, so much emotion, love, hugs, and the couple... wow. it's the couple you always want to photograph. Not only are they absolutely crazy about each other, have families who support them, place God in the center of their marriage.. and the respect each other so much! i wanted to share about a bazillion photos, but i'm holding back! so here's a few for a nice little sneak peek! still working on them, so prepare for a lot more soon! click to see the image.. but bigger! thank you aaron and paige for letting me photograph your fantastic day! rain or shine, we got some great shots! 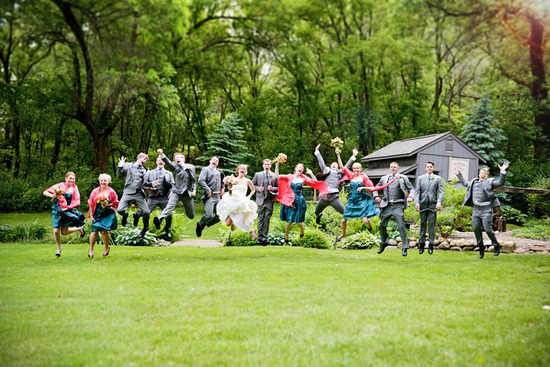 you had such a fun bridal party too! !